Last week I have conducted a very interesting PRINCE2 Foundation and Practitioner training for the Signal Regiment of the Sultanate Army of Oman. It was a very unique experience. 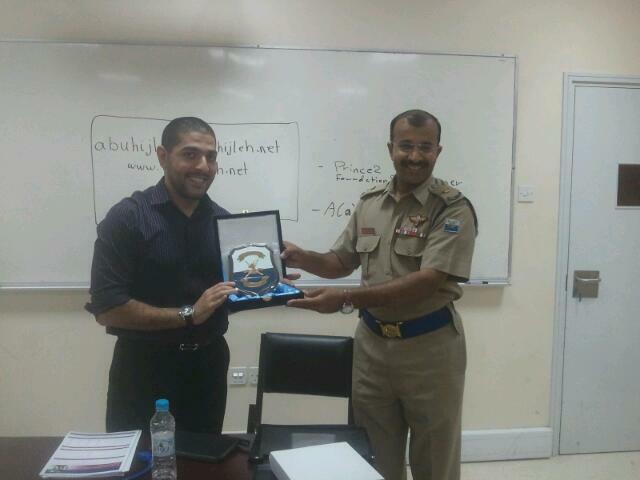 It was a real pleasure working with such competent and smart group of people from Oman. At the end of the training I was honor with the regiment shield trophy. I am really very thankful for the Sultanate Army of Oman/Signal Regiment for giving me this unique opportunity. i hope you visit Oman again…. Hello Alaa, do you give prince 2 practitioners in lebanon ?? ?